The Teenage Mutant Ninja Turtles currently air their latest animated series on Nickelodeon, but fans of the series might not know that one of the voice actors on the new series also voice a character on the original animated series. He just did not voice the same character. Twenty-five years passed between the premiere of the first cartoon and today, and Rob Paulsen is in the middle of it all again. On the original series, he voiced Raphael. However, for the new series, he is bringing Donatello to life. The two characters are very different, but he was willing to take on the challenge. Do you agree? Are you a fan of the Teenage Mutant Ninja Turtles? Tell us what you think. 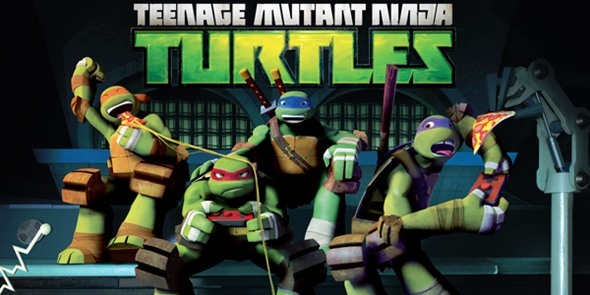 More about: Teenage Mutant Ninja Turtles (2012), Teenage Mutant Ninja Turtles (2012): canceled or renewed? I LOVE THE SHOW! I watch with my grandsons on weekends while the kids are with me. During weekdays I’ll watch it alone. The quys enjoy the turtles progression and how they deal with difficult scenarios.